An overdue library book was returned 75 years later. 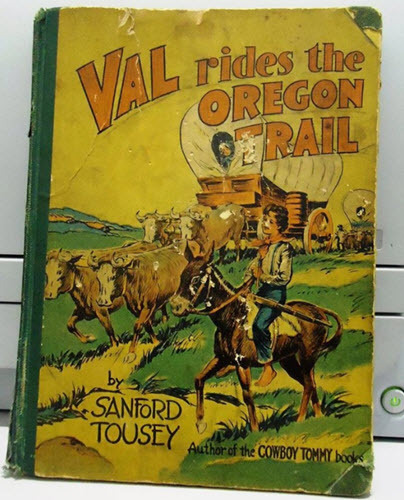 The children's book, Val Rides the Oregon Trail by Sanford Tousey, was checked out from the Osterhout Free Library in Wilkes-Barre, Pennsylvania in 1941. The Citizens' Voice reports that the book was checked out by Robert Lockman Sr. when he was nine years old. It was his son that returned the book to the library after he found it in the basement of his home. The late fees were waived by the library. The fine of 2 cents per day since 1941 would have been about $554. Robert Lockman Jr. told The Citizens' Voice, "I thought it would be the right thing to do. My dad was an honest guy. That's what he would have done."